Please Join Us October 25! 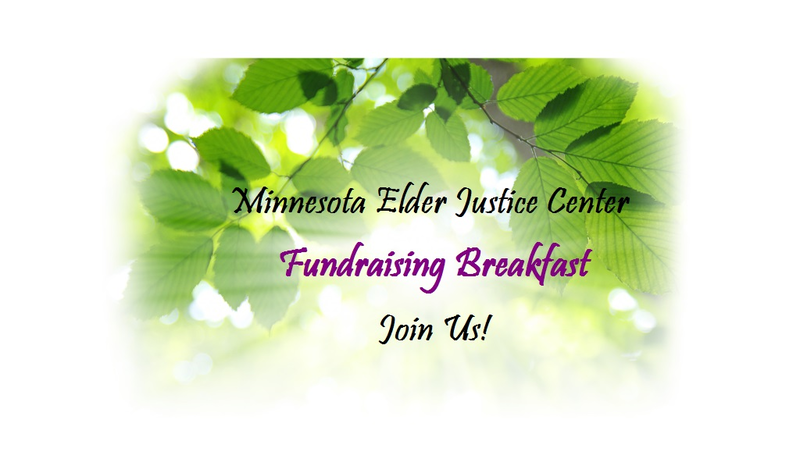 The Minnesota Elder Justice Center works to stop abuse, neglect, and financial exploitation of elders and vulnerable adults. We strive to improve lives, communities, and systems. Join us on October 25 to hear from community partners, learn more about our work, and help the Minnesota Elder Justice Center prevent elder abuse. Can’t make it to the breakfast, but want to support our work? Donate here.